Premier Sport operates a team of specialist Activity Professionals and Sports coaches across East Norfolk & North Suffolk. 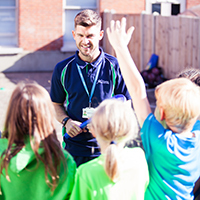 Passionate about getting young people active, we work closely with schools and the wider community to develop innovative sports and physical activity programs to Inspire children into leading fun, healthy, and fit lives. Our solutions are tailored made to meet any need. 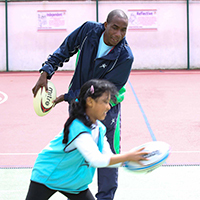 We provide curricular or extracurricular programs for schools, engagement and enrichment plans to increase participation in the wider community and holiday programmes and courses to inspire children to remain engaged during those long days off. 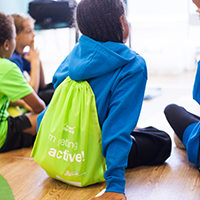 We provide a wide variety of sport and physical activity programmes for young people throughout East Norfolk and North Suffolk, we're here to help get your child to get active! For many, this may be their first experience of the activity and you'll see your child get involved, get active and really shine, as they become more confident and try new things. Read reviews Give your feedback! Premier Sport invites all children aged 5 to 12 to join us for action-packed holiday fun on our Multi-Sport and Activity camps every school holiday.